Bank of England (BoE) head Mark Carney said on Wednesday that bitcoin’s meteoric price gains do not pose a threat to global financial stability. Talking to British lawmakers in Parliament, Carney said that bitcoin’s recent price moves are “significant” and more like an “equity-type risk,” Reuters reports. Bitcoin is the number one cryptocurrency by market valuation, and recently reached an all-time high of around $20,000. At press time, it was trading at just over $16,700. 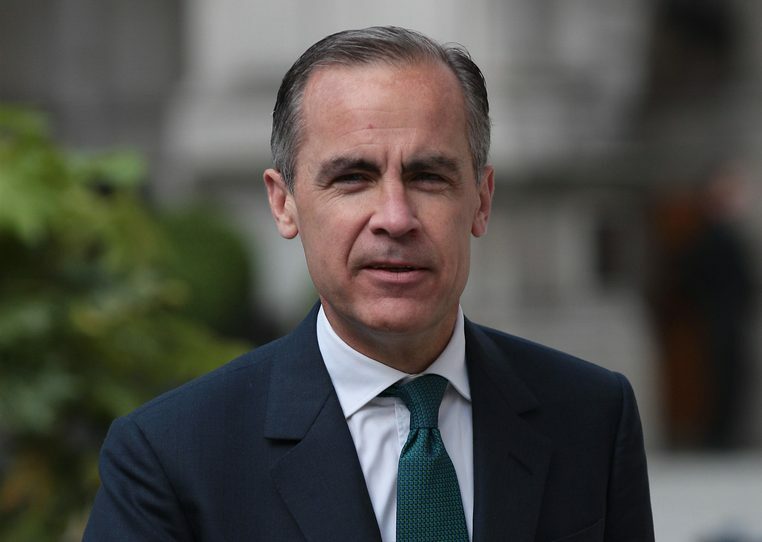 Carney, who also acts as chair of the G20’s Financial Stability Board – a group of central banks and finance ministers that is also conducting its own blockchain research – further said that the idea of central bank-issued digital currency that can be used by the public has “some fundamental problems” unless there is a restriction in the amount that people can hold. The official’s statements come as global central banks are increasingly active in their work with blockchain and DLT. The BoE has said that a forthcoming version of its real-time gross settlement (RTGS) system – which settles around £500 billion daily – will be compatible with distributed ledger technology. Meanwhile, monetary authorities in Canada, China and Russia, among others, have all expressed interest in a central bank-issued digital currency.